Welcome to my about me page. As you may already know from my website my name is Nicholas Beall and I am a professional horse portrait artist. I feel extremely fortunate to earn a living doing what I love. I hope that my passion shows in my oil paintings of horses. I enjoy painting all animals but specifially horses. 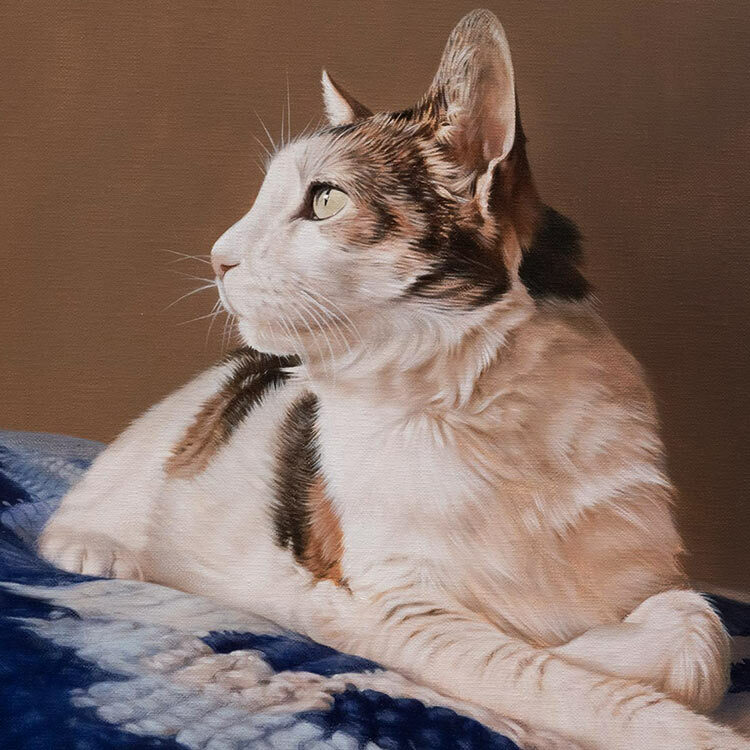 I live in Wales, UK with my wife Melanie who is also a pet portrait artist. Melanie specialises in pencil drawings of horses along with other animals too. Although I live and work in rural west Wales, I was born and grew up in Cornwall. The first photo below was taken near my family home overlooking Looe Bay towards Looe Island. I have an amazing smuggling ancestor called Amram Hooper who supposedly smuggled goods from Looe Island to the mainland. We always try to visit Looe when we visit and its a lovely place to walk our dog Lily who is a Tibetan Terrier. 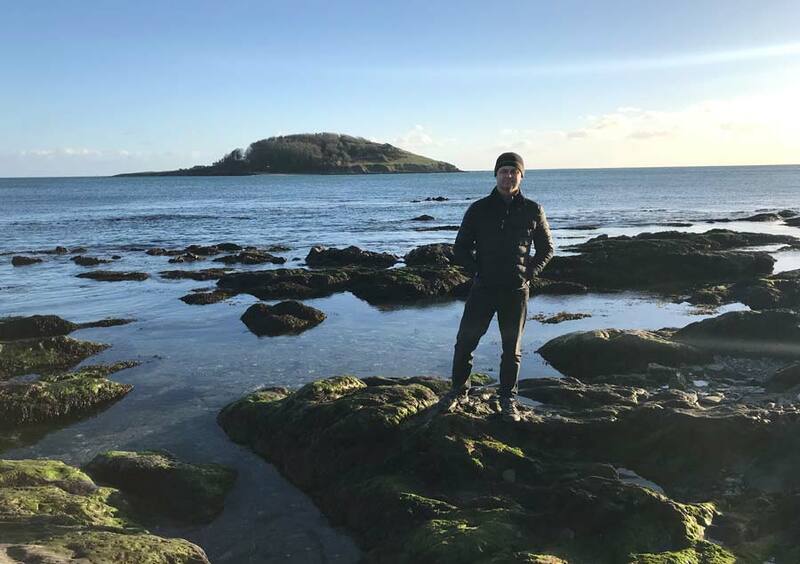 The photo below was taken on a recent trip in February 2019, hence the warm coat and hat. It was a beautifully sunny but a very cold day. I studied Illustration at Falmouth Art College in Cornwall after leaving school and then went to study in Bournemouth Art College for Natural History Illustration. The course was focused on book illustration with flowers and animals. When I moved to Wales after leaving college I illustrated a few books with an agency, however as Melanie got more and more busy with her portraits, and as illustration of animals in books was in decline I decided to venture into pet portrait commissioned work. I haven’t looked back. The photo below was taken at a National Trust property in the south west of the UK. 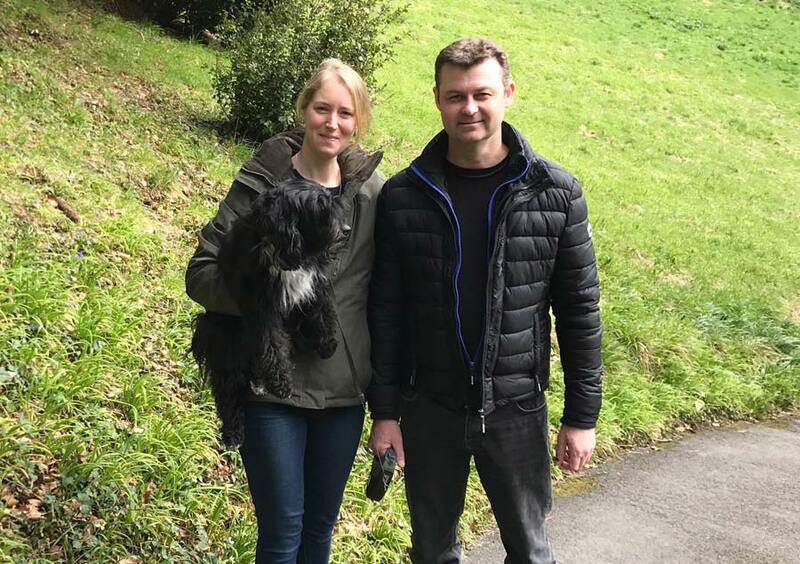 Melanie and myself enjoy visiting gardens - as long as they are dog friendly of course. Because we both have an indoor job, we try to get out and about walking as much as we can. I have my own small gym at home which allows me time out of my busy painting schedule to keep fit, but there is nothing better than taking Lily out for a trek in the good weather. We enjoy visiting dog friendly beaches and exploring coastal walks too. We have always lived close to the coast and are never too far away from a sea view. 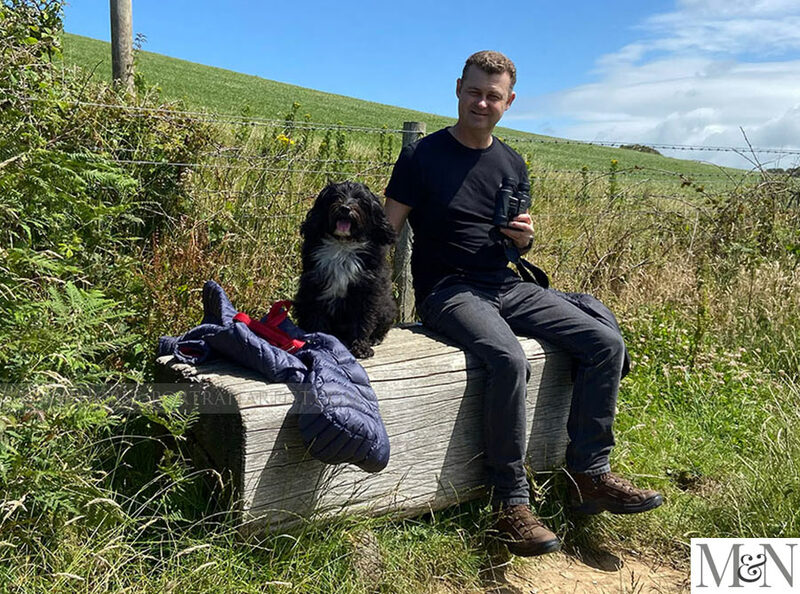 Meeting other like minded dog owners on our way is fun, especially Tibetan Terrier owners who are few and far between, so we love exchanging stories about our dogs when we can. 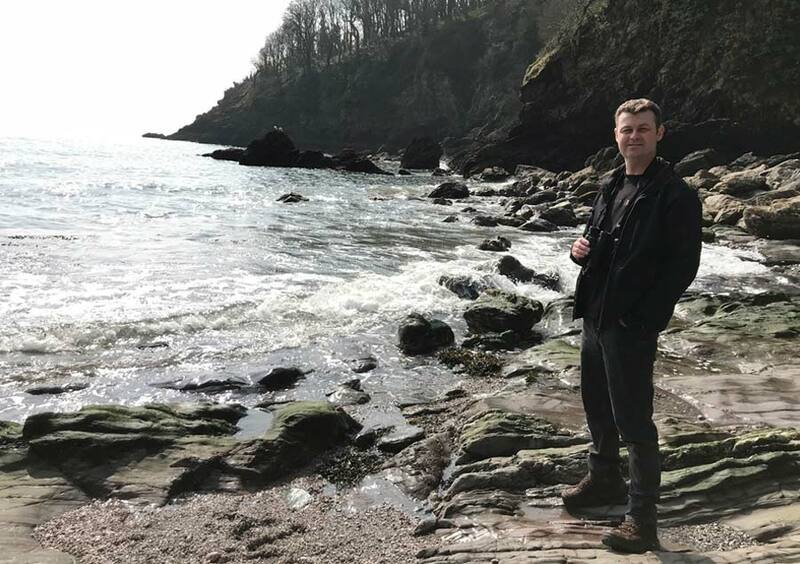 The photo below was taken on a coastal walk while on holiday in Dartmouth. I didn’t see any good coastal birds while there, however I am a keen bird watcher and have a superb set of Nikon bino's which I try to carry with me when setting off for a trek, they are the perfect weight and size for carrying. 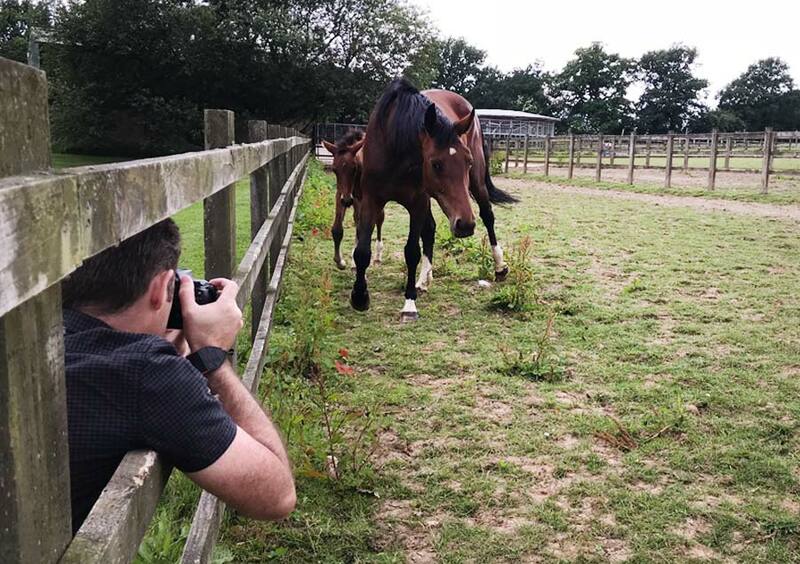 The photo below is of me taking a photo of a horse and foal plodding towards me at a clients home. If clients live fairly locally and are looking at having a large oil painting, we are always happy to head out to meet them for a photoshoot. 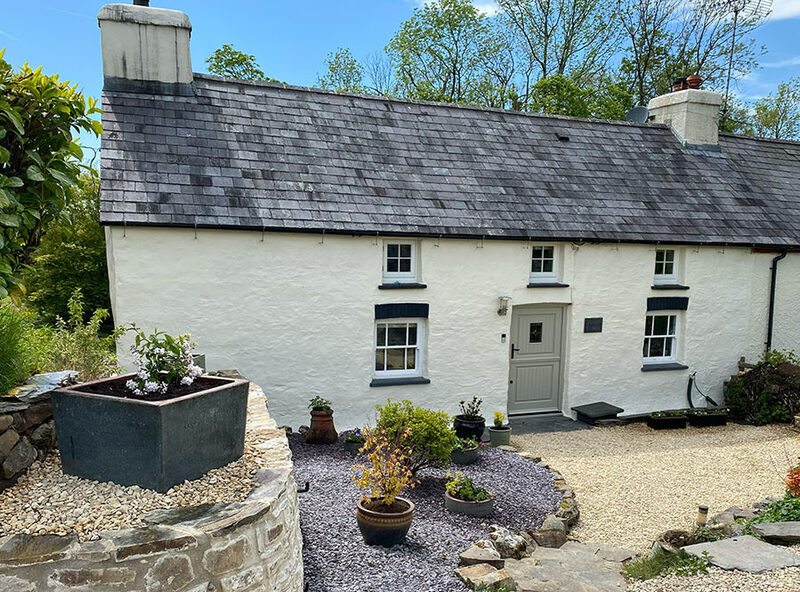 Melanie and I live in a little cottage in the heart of rural Wales. It is situated about 25 minutes from the coast and is convenient for days off and days out to Pembrokeshire which is our favourite place. We have been renovating the cottage over the last 11 years and have been bringing back all of the original features. It has been hard work but we are very nearly there with it. It has original oak beams an inglenook fireplace and a flagstone slate floor too. The painting below was completed about 8 years ago by myself in oils. Melanie took some photos of myself with the painting in our garden. It was a beautiful sunny day, perfect photography weather. We often use to animal sit for friends and family while they were on holiday. 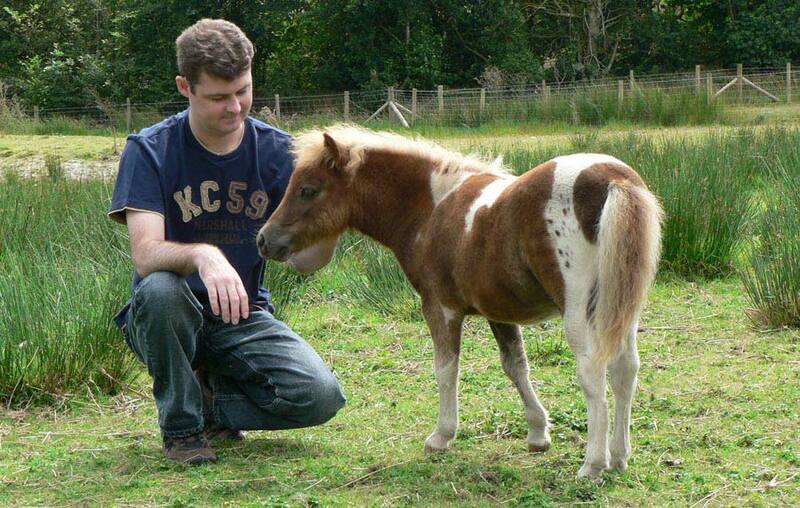 Our neighbour owned a family of Shetland ponies, so while looking after them, Melanie took the opportunity of taking photos. Having lived on a small holding for many years we have experience with all types of animals from pigs, cows, sheep, horses, goats, chickens and ducks. Our friends not only had Shetland ponies with foals but they also had goats with their tiny kids too. It was a pleasure to look after them all.